Neglect and abuse often occur in nursing homes, but just because they are frequent, doesn’t mean you or your family member should put up with it. There are better options out there. Our website was designed to help you and your loved ones fight against these forms of misconduct. Even though our website contains over 200 videos that can answer your questions, we encourage you to give us a call to discuss your case. We can help you. There are plenty of signs of neglect and abuse within nursing homes. Neglect usually comes when a nursing home fails to provide a reasonable standard of care. Ignoring and failing to follow a physician’s orders will usually fall under the category of neglect. Abuse occurs when there is an intentional act against the resident that causes some form injury, whether it’s physical or emotional. Why file suit against a nursing home for abuse? Abuse whether physical or emotional should never occur in a nursing home. The value of a nursing home abuse case will depend on the facts of the case, and the extent of the abuse. Every nursing home is required to provide a reasonable standard of care by law. This means that nursing homes are liable in the even that abuse may occur. At times abuse can come in the form of physical harm caused intentionally by either a staff member or a fellow resident. Regardless if the abuse came from the nursing home or another resident, the nursing home is still responsible. While certain resident behaviors may trigger conflicts between residents, the nursing home bears the responsibility for preventing conflicts whenever possible through supervision, monitoring, and evaluation. Nursing homes are responsible for monitoring residents who exhibit violent behaviors, as well as residents who have an aggressive past, or have interacted negatively with other residents. Nursing homes also must monitor residents who have mental conditions, which could lead to physical altercations. Is a nursing home lawsuit expensive? The size and length of a case will determine just how much it will cost. Some lawsuits can prove to be expensive if they go all the way to trial, and the case is lost. A nursing home lawsuit generally takes an average of 18 months to 2 years. Once the lawsuit is filed, the defendants must be served. Once all the defendants are served, they will have 30 days to file an answer to the lawsuit. After the answer is filed, the parties will begin a 6 month “discovery” period, in which the parties will exchange documents and request written statements regarding the case. Due to the complexity of nursing home cases, the discovery period is usually extended months, and sometimes can last for over a year. Usually courts will require both parties to mediate the dispute. During this time, both parties will plead their case to a neutral mediator. The mediator will attempt to settle the case, and many cases are actually settled during mediation. If mediation fails, there is usually a period of time for filing a dispositive motion, which can dismiss a case before it goes to trial. If these motions fail, then the case will be placed on a trial calendar. We are Schenk Smith, your Fitzgerald nursing home lawyers. At Schenk Smith, our sole focus is to pursue cases against nursing homes. We are 100% dedicated to pursuing negligence and abuse cases against nursing homes. Our passion for helping patients who have suffered negligence or abuse stems from our founding attorney Will Smith, who was a CNA in nursing homes in Georgia for 10 years prior to becoming an attorney. Once you’ve had the chance to listen to our podcast, and watch our FAQ videos which provide answers to all your questions, please give us a call to schedule a meeting so that we can discuss your case. Whether you’re by the Reed Bingham State Park, the General Coffee State Park, or the Little Ocmulgee State Park, we’ve got you covered. Nursing Home Abuse & Neglect in Fitzgerald, Georgia – What you need to know. Fitzgerald, Georgia is located in Ben Hill County, and has a population of 9,006. Of those residents, 17.70% are 65 and older. As with other nursing homes around Georgia, elderly abuse occurs on a frequent basis. Is it safe to report neglect if my loved one is still at the nursing home? This question is asked quite often, because families are usually concerned about revenge taking place against their loved one. This concern is actually the number one reason why abuse goes unreported. But families should not allow these types of concerns to affect their decision making. Negligence and abuse will continue to take place until action is taken. Retaining a nursing home neglect lawyer to investigate and shed light on negligence or abuse can help protect your loved one from the revenge you fear of taking place. It is much harder for nursing homes to get away with negligence and abuse when someone is watching, investigating, and reporting what they find. My loved one died from sepsis – Is the nursing home responsible? Sepsis, or septic shock, is an infection that often occurs in nursing homes because of negligence. For example, if a resident remains in one position for a long time without any movement, they can develop bedsores, which can ultimately lead to infection and eventually turn into sepsis. If your loved one dies from this type of infection, you may be able to claim a wrongful death action and survivors’ action. This type of lawsuit holds the nursing home liable for your loved one’s death, and forces them to compensate the deceased person’s estate. Sepsis is almost always treatable, so if your loved one dies because of it, that means that there was a clear sign of negligence from the nursing home. Nursing homes have a duty to prevent and cure sepsis, which means they are clearly responsible. Sepsis can also occur from a nursing home being careless with IVs, catheters, or other medical instruments. Failure to clean the instruments or the insertion site in the skin, also constitute as negligence, and in these cases the nursing home will be held responsible. What online resource can I use to see if this nursing home had been fined before? Your two best options to see if a nursing home has been fined before will likely be the Georgia Department of Human Services website and the CMS’ Nursing Home Compare website. The Georgia Department of Human Services will offer plenty of information on nursing homes around the state of Georgia. Another option is the CMS’ Nursing Home Compare website, which offers ratings for every nursing home. This website will show you each nursing home’s most recent health inspection date, and the number of citations each nursing home has received. It will also show the number of complaints each nursing home received in the previous 3 years that resulted in a citation, as well as the amount of Federal fines in the previous 3 years. My loved one was hurt in a Fitzgerald nursing home – What do I do next? If your loved one was severely injured or passed away at a Fitzgerald, Georgia nursing home, then we recommend that you act as soon as possible to protect your loved one’s rights. The Georgia Department of Community Health has a division called the Healthcare Facility Regulation, which is dedicated to investigating and looking into complaints of neglect and abuse happening at nursing homes. The Healthcare Facility Regulation division also regulates and certifies nursing homes throughout all of Georgia. The Georgia Office of the Long-Term Care Ombudsman is another option to look at when filing a complaint. The Ombudsman are dedicated to helping residents resolve complaints and issues against their nursing homes. This same group is also trained and authorized by law to go into any nursing home and ask questions. Physical assault or abuse from a nursing home staff or resident should also be reported to the police. Depending on the severity of the assault or abuse, charges may be brought against the staff or the resident by the Ben Hill County District Attorney’s Office. For abuse occurring in a Fitzgerald, Georgia nursing home, report the crime to the Police Department of Fitzgerald, Georgia or to the Ben Hill County Sheriff. Just because neglect or abuse has taken place at a nursing home, doesn’t mean that it takes place at every nursing home. If you or your loved one have suffered from some form of neglect or abuse, then it may be time to search for another facility. There are other nursing homes that are safe, and that do accept Medicare or Medicaid. It can be difficult and time consuming to search for a nursing home. But the Centers for Medicare and Medicaid Services (CMS) has created a website that has scores for every nursing home that accepts Federal funding. The CMS website provides ratings based off nurse-to-resident ratio, and inspection scores. For your convenience, a list of all nursing homes located within Fitzgerald, Georgia is located below, along with their contact information and inspection scores. In the event that negligence and abuse took place, it is critical to obtain all the medical records available. Nursing homes will not accept responsibility right off the bat. They will stop at nothing to blame your loved one’s condition, rather than accepting responsibility for the negligence or abuse that may have occurred. Even if the evidence is stacked against them, nursing homes will still try and evade the blame. If your loved one suffers a broken bone from a slip and fall, chances are the nursing home will try to say that the bone was already broken before the fall. It’s imperative that medical records are accessed as soon as possible. Medical records will show information on the hospital visits, as well as who the caring physician was, and who was working at the nursing home when the event happened. Getting these records though can prove to be difficult. Federal and state laws forbid third-parties from viewing medical records, even if you happen to be a spouse, sibling, or child. Which is why written authorization is needed to access these records. Written authorization can come in the form of a power of attorney, a healthcare directive, or a guardianship paperwork. Just because your loved one passes away, doesn’t mean their right to sue a nursing home for abuse or negligence does. If a resident passes away, their rights are handed over to the Estate. For example, the plaintiff of a lawsuit will change from being “James White” to “The Estate of James White”. But before a suit can ever be filed, the Estate first has to be established. This means that the surviving spouse or relative will need to petition the Probate Court of the County in which their spouse or relative passed away. If you’re currently in this situation, you need to setup an Estate as soon as possible, in which you will then need to appoint a representative. The personal representative, who is often referred to as the Executor, will make all the decisions on behalf of the Estate with regards to the lawsuit. Click here for the probate Court of Ben Hill County. No two nursing homes are alike. Quite often they vary in the their service. Below is a list of the nursing homes located in Fitzgerald, Georgia, along with relevant information for each. This information is taken directly from the CMS’ Nursing Home Compare Website. 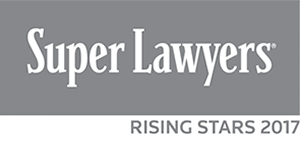 Industry Leaders: Our attorneys at Schenk Smith have been selected as Georgia Super Lawyer Rising Stars. Our top notch skills are solely dedicated towards pursuing cases against nursing homes that have committed some form of negligence or abuse. Educators: Our attorneys attend and lead continuing legal education seminars which are dedicated to nursing home abuse and care. Our attorneys are also members of senior advocacy groups, which shows our dedication to those who have suffered from neglect or abuse in nursing homes. Result Driven: Clients will deal almost exclusively with an attorney, not a case manager. This allows us to be selective with the cases that we choose. Being selective allows us to dedicate all of our resources towards your case. 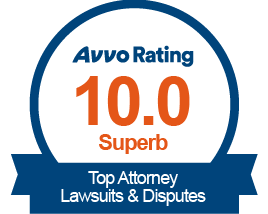 Our results are proof of our dedication, as we’ve had millions in verdicts and settlements in the past 2 years.